The Festival of Colours is largely focussed on the sights – the bright shades of gulal, the fresh hues of early spring blooms and saffron tints of the confections. 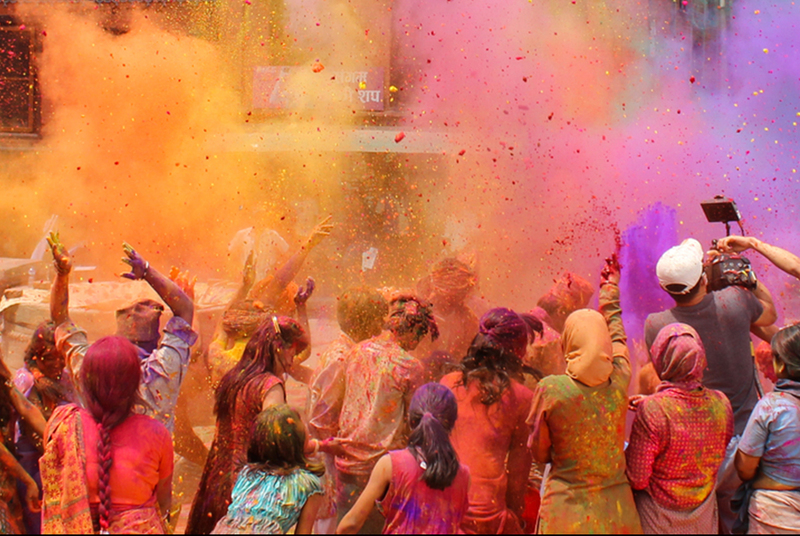 But this year, you can make your Holi soiree a vibrant carnival for all the senses. Ditch the traditional whites this season to be a vision in vibrant colours. You can either go completely ethnic in a brilliant blue sari or add a splash of colour to the denims and white linens with a bright scarf or bold shoes, if you’re indulging in the customary, no-holds barred revelry of Holi. 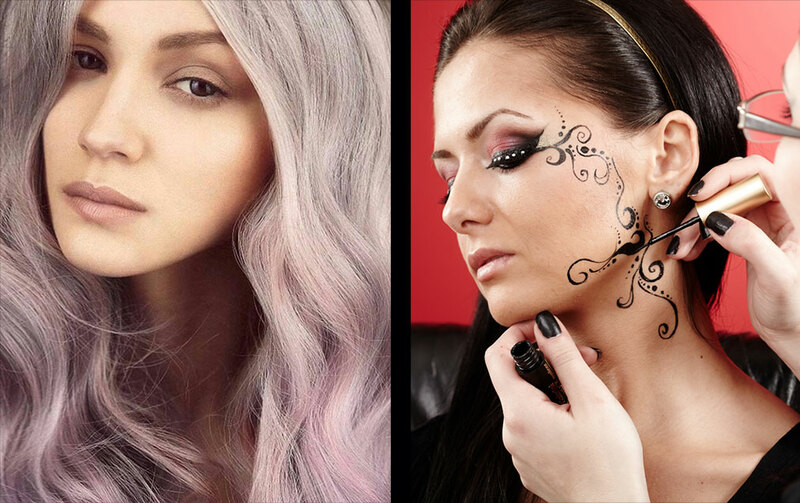 You can even standout with hair colour and waterproof eye make-up in the form of a temporary tattoo. 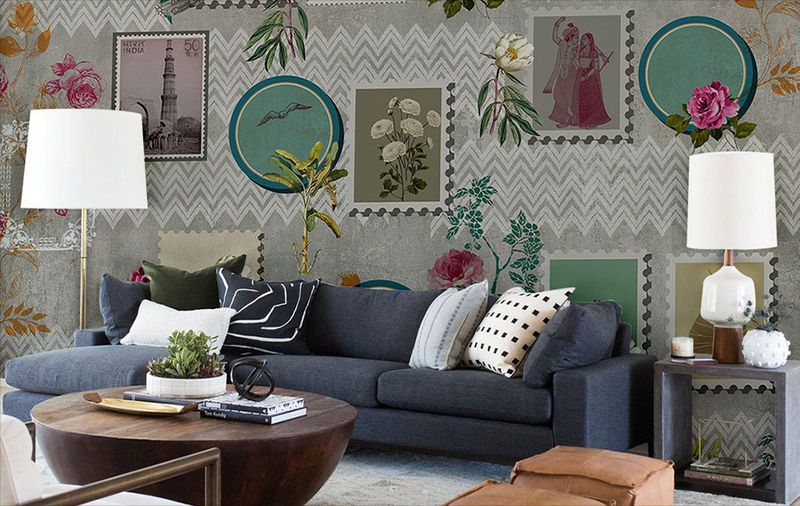 Give your home décor a fresh pop of colour by creating eye-catching wall art with a host of bright clay pottery or a wall paper. 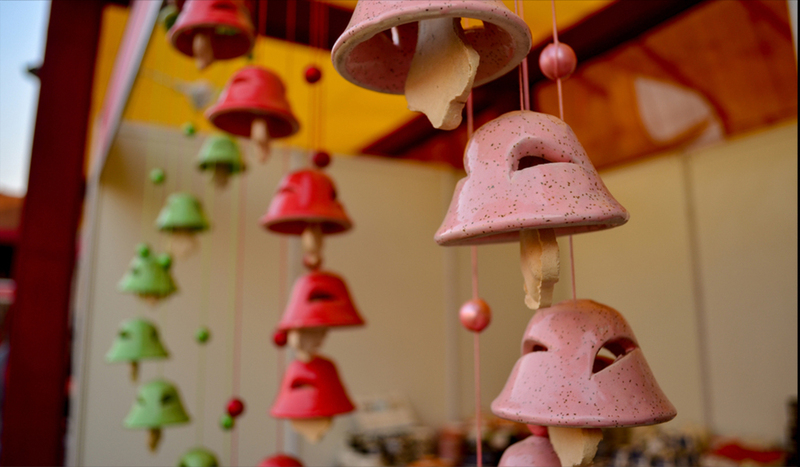 For the quieter corners of your home, bring in some good luck with wind chimes. Do remember to keep the windows open to let the spring breeze make all the music. The more adventurous of you can invest in a miniature porcelain fountain to add to the zen vibes inside your home. The soft white noise of the water trickling soothingly is the perfect backdrop to sparkling conversations at your party. 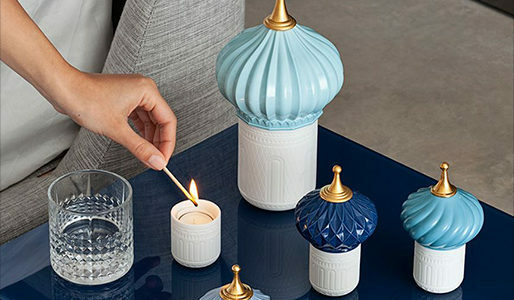 Scented candles aren’t just for Diwali. Team them up with vibrant pop-pouri to create auspicious spaces inside your home. As party favours, you can put together charming bottles of interestingly coloured fragrances, soap and incense sticks. Get creative with the beverages served. From green Khus Khus-based cocktails to the old-fashioned Thandai garnished with saffron, you have myriad of options to choose from. A pro-tip is to keep the base beverage virgin and you can add a shot of alcohol for those who prefer cocktails. Serve them through the tradition Holi water gun to keep the spirits festive -literally. 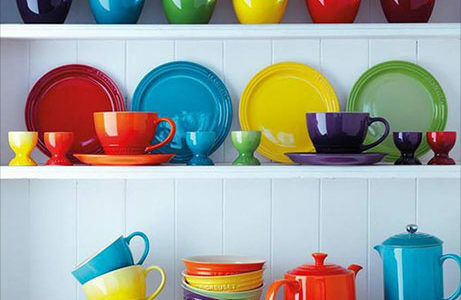 Complement the colours of the traditional Holi sweets by serving them in striking ceramics and chinaware. Give your Holi a touch of mildness with some homemade colours. You can use sun-dried oranges for a buttery yellow tint, crushed rose petals for a red hue and the signature magenta gulal can be drawn from beetroots. So you can preserve all the traditions that make the Festival of Colours special but throw in a bit of you into the celebrations. Have yourself a colourful, unique Holi!